More Art and artist Sari Carel are hosting an educational workshop as part of a public sound project about breathing and air quality in New York City. We are inviting the public to help us rethink ideas about wellness and illness and to create improvisational sound recordings using our breath. The venue for this event is wheelchair accessible. 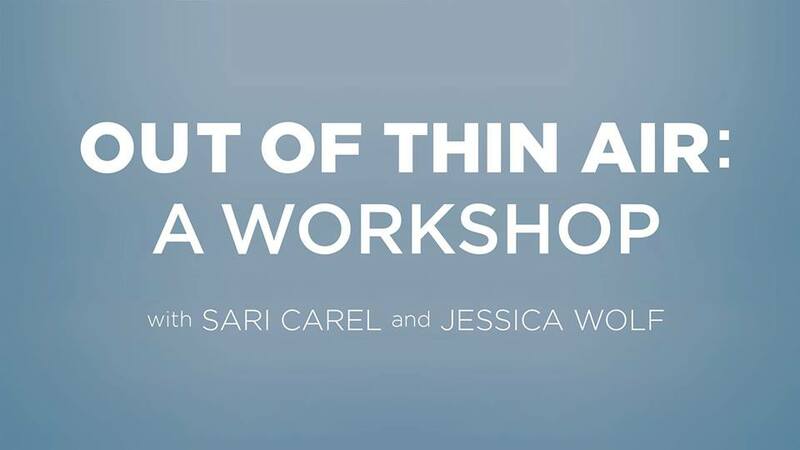 We begin by working with Jessica Wolf, an Alexander Technique teacher, the creator of Jessica Wolf’s Art of Breathing, and Professor in the Practice of Acting at Yale School of Drama. Jessica’s work approaches the body and breath with a holistic perspective. In this workshop, you will learn about your respiratory system and identify physical habits that impact your health and wellbeing. She will teach you exercises to develop breathing coordination, and practices to integrate your body, breath, and mind to build resilience and equilibrium. Second, through discussion and creative improvisation, participants will collaborate with the artist on the recording of our breathing sounds and then explore their audio and spatial qualities via playback and mixing in the studio. This process will generate material that will be used as part of an outdoor sound installation. Staged in late Spring 2018 the installation will bring attention to air quality issues in New York City by juxtaposing sound recordings generated in the workshops against NYC’s built environment. The installation will include programming developed in collaboration with environmental justice and health organizations throughout the city. Sari Carel is a multidisciplinary artist based in New York. Carel’s work has been exhibited and screened internationally in venues such as Artists Space, Dumbo Arts Festival, Nicelle Beauchene Gallery, and Gavin Brown’s Enterprise in New York; LAX Art and Young Projects in Los Angeles; Tel Aviv University Gallery, and Haifa Museum of Art in Israel, and Locust Projects in Miami. She has been awarded numerous fellowships and residencies, including AIR at the Stundars Museum, Finland; AIR Vienna; the ISCP Program, Socrates Sculpture Park Fellowship, and the LMCC Process Space on Governors Island in NY. Recent projects include Borrowed Light, a public art project in Sunset Park, Breach of Skin at Melanie Flood Projects in Portland, OR, and Earth and Sky at the Genia Schreiber University Gallery in Tel Aviv. Jessica Wolf has been teaching the Alexander Technique for 40 years and is a Professor in the Practice of Acting at Yale School of Drama. She founded Jessica Wolf’s Art of Breathing, and created the first three-dimensional animation of the respiratory system. She coaches performing artists who appear on and off-Broadway, and in films and television. She travels internationally, giving workshops to performers, teachers, and healthcare providers.